An Australian ship has detected signals that might originate from Malaysian Airlines flight 370’s black boxes, in what’s been called the "most promising lead" so far in the search for the missing plane. 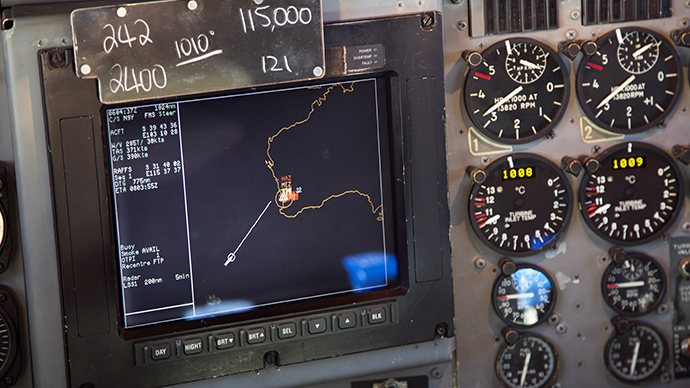 Although investigators have stressed that further confirmation is needed, they said signals consistent with the craft’s flight recorders had been recorded in the Indian Ocean on Monday. 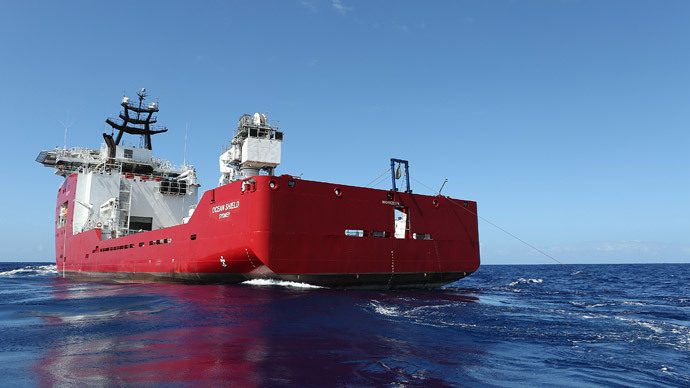 “The towed ‘pinger’ locator deployed from the Australian defense vessel Ocean Shield has detected signals consistent with those emitted from aircraft black boxes,’’ said Angus Houston, the former Australian defense chief who is leading the search coordination body, adding that this was the "most promising lead" so far in the search for flight MH370. 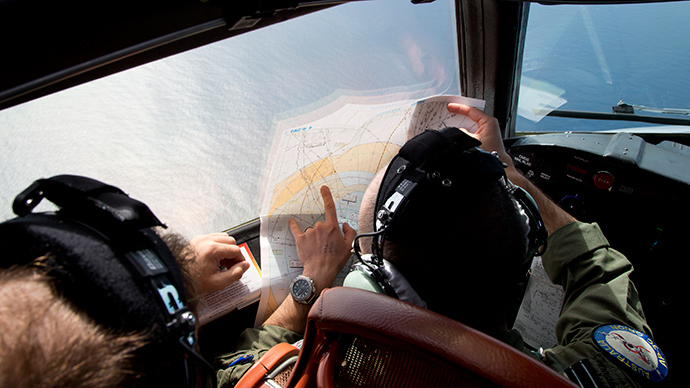 Search teams have been scouring the Indian Ocean for a sign of the Malaysian Airlines Boeing 777 plane that disappeared from radars on March 8 with 239 people on board. 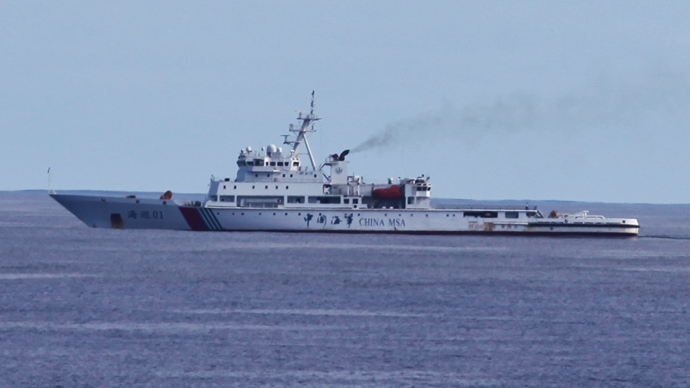 Malaysian authorities believe the craft crashed into the Indian Ocean after diverting from its intended path of Kuala Lumpur to Beijing. The Australian vessel Ocean Shield picked up the two signals using its towed pinger locator. Houston said that the signals were detected at a depth of 4,500 meters. "On this occasion two distinct pinger returns were audible. Significantly this would be consistent with transmissions from both the flight data recorder and the cockpit voice recorder," ACM Houston said at a press conference. This latest signal comes after Chinese and Australian ships detected three different ‘pings’ over the weekend. Houston said that an autonomous submarine will now be dispatched to comb the seabed for signs of any debris from the plane. However, the submersible has a limit of around 4,510 meters which could potentially complicate the operation. “This is very deep water - we are right on the edge of capability,” said Houston, emphasizing that more evidence was needed. 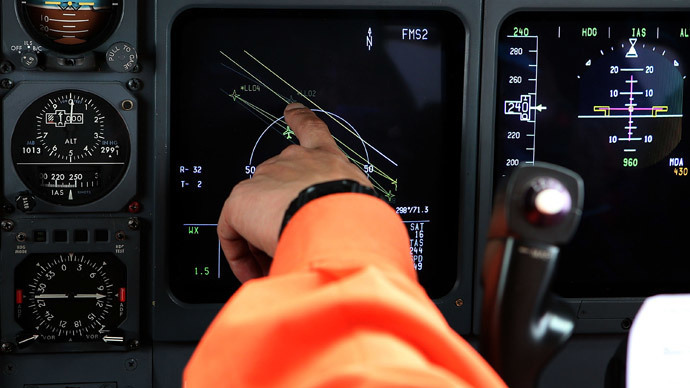 The circumstances surrounding the disappearance of the Malaysian Aircraft on March 8 have given rise to many theories, including a possible hijack. Investigators say the plane changed course before it disappeared and that the inflight communication system was “deliberately disabled” by someone onboard. In addition, Malaysian authorities have already looked into the possibility that the plane could have slipped under Pakistani radars and landed at a Taliban base close to the border with Afghanistan. Over two weeks after the Boeing 777 vanished from radar, Malaysian Airlines informed families of the passengers that “beyond any reasonable doubt” flight MH370 had been lost and none of the people on board had survived. The announcement sparked fury amongst aggrieved families in China who accused the Malaysian government of lying to them and purposely hiding the truth. Officials say there were 160 Chinese nationals on the flight.